It still surprises me when I learn how many people are not leveraging the power of Live Video. And, more often than not, it is because they are afraid. The fear of what people might think, of what might happen while broadcasting a live video is palpable. And… so common. 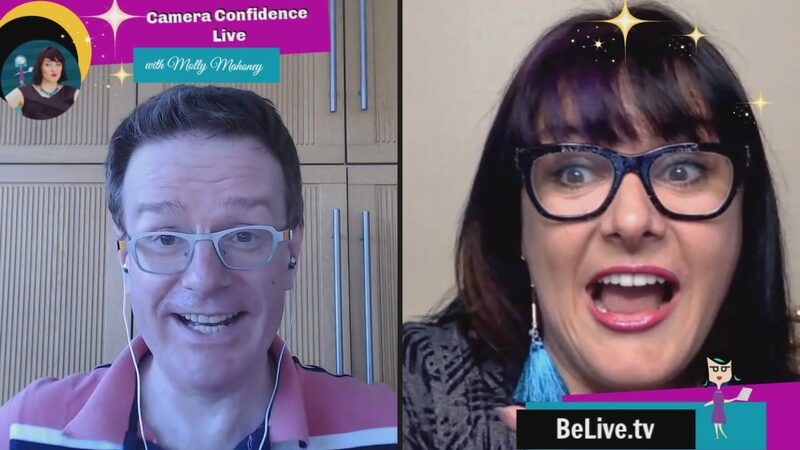 Recently, I was chatting with my dear friend, live video expert Ian Anderson Gray, and I learned that he is more of an introvert than an extrovert. Which many people are surprised to learn because of his amazing commitment to live video. So, yeah – I get that there are some aspect of this craziness that might be a little easier for me because of my theater background and general extrovertedness… but, for the most part I've had to push through LOADS of fear to get to the comfort level I'm currently at. This is something I love talking about with Ian because he is soooo real in his approach to moving through the fear and sharing a message with those that need it. Are you up for joining us?? 4. Empathy! Connect as Humans!! Go live in a small group so you can experience the “fear” in a small loving group.